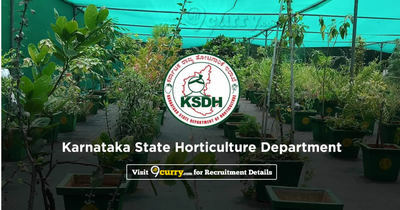 KSHD Recruitment 2019 - Apply Online for Apply Online for 200 Gardener Posts in Department of Horticulture, KSHD, Karnataka, Hyderabad. Online Applications are invited by Karnataka State Horticulture Department from 04 Feb 2019 to 06 Mar 2019 for 200 vacancies. Eligible candidates may apply online at KSHD's website (direct link is given below) from 04 Feb 2019 to 06 Mar 2019.